West Feliciana Parish, home to the Louisiana State Penitentiary, directs users to the State of Louisiana's Vital Records Registry to obtain birth and death records. Birth records are available from the previous 100 years, and death records from the previous 50. The Vital Records Registry has various fees for different services. To inquire directly, call (504) 593-5100, or email _dhh-vitalweb@la.gov . 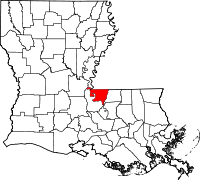 West Feliciana Parish, which was originally considered a part of the colony of Florida, was split from Feliciana Parish in 1824 into the East and West sections. Prior to that, the area briefly called itself the Republic of Feliciana and considered itself to be an independent area, apart from the United States. The parish, which borders the state of Mississippi, provided families with soldiers in the Confederate Army large amounts of financial assistance during the Civil War.